The Town of Beaver offers great outdoor recreational activities! Between its many rivers/creeks and lakes, there’s plenty of opportunities for anglers to catch almost every species of fish that Northeastern Wisconsin has to offer. Much of the town’s public lands are surrounded by farm fields and allow hunters chances at getting the trophy of a lifetime. And with three different ATV/snowmobile clubs maintaining trails within the town, there is a variety of trails to explore all-year long. One of the more common species of fish found within the town are trout. The Town of Beaver has 7 Class 1 Trout Streams, 3 Class 2 Trout Streams, and 1 Class 3 Trout Stream within its borders. One of the Class 1 Trout Streams is the North Branch of Beaver Creek, which has over 1,100 acres of public lands along its shores, known as the North Branch Beaver Creek Fishery Area. 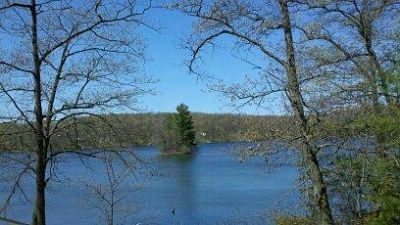 Even 2 of the town’s lakes, Murphy and Bass, have been known to have trout in them. Scenic Nelligan Lake – a great place to enjoy nature while catching panfish! Probably the most popular lake in the town, Left Foot Lake, has an abundance of panfish, plenty of largemouth bass, and even some northern pike and smallmouth bass. Gilas Lake is one of the largest in the town at 138 acres, and has decent northern pike, largemouth bass, and panfish populations. In addition to trout, Bass Lake (the one at the end of W. 10th Road, not the one off of County P) also is known for largemouth bass and panfish. There are boat landings at each of these lakes, along with 4 other lakes within the town, including Nelligan Lake shown in the photo above. Not only does the Town of Beaver have numerous trails, there are also many ATV/Snowmobile Routes like this to access the trails! Snowmobile Trail Corridor #5 runs centrally through the Town of Beaver, and is maintained by the Kumalong Sno-Riders. 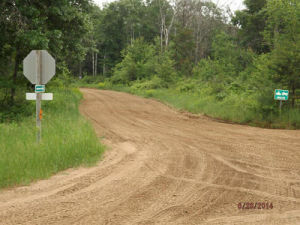 The River Road Riders Snowmobile Club keeps the scenic trails along the Peshtigo River in the eastern portion of the town in prime riding condition. 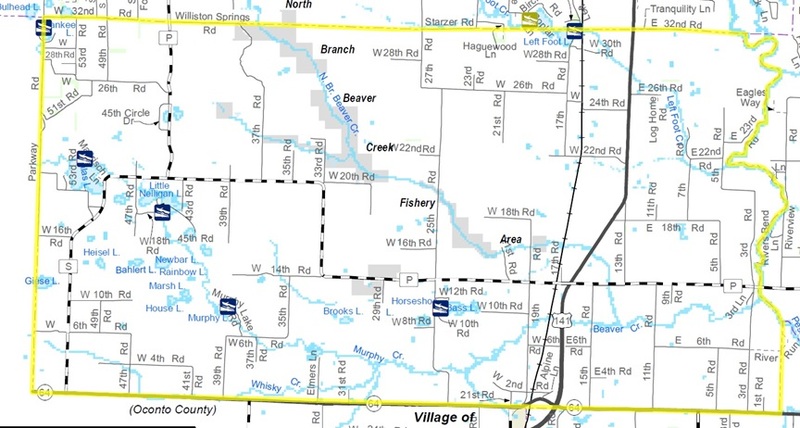 Although a majority of their trails are in Oconto County near the White Potato Lake area, the Bagley and Brazeau Joyriders also maintain Snowmobile and Summer ATV trails in the western portion of the Town of Beaver. 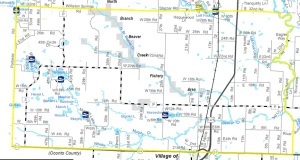 The Town of Beaver is easily accessed by US Highway 141, State Highway 64, and County Highways P and S. The town had a 2010 Census Count of 1,146 people. With the town encompassing 69.5 square miles, a population density is 16 people per square mile. The Town of Beaver is bordered by the Town of Stephenson to the north; by the Towns of Lake and Grover to the east; by the Towns of Pound and Brazeau to the south; and by the Town of Brazeau to the west.